It was such a dreadful wet day in London yesterday that I found myself watching repeats of the Hairy Bikers in the Far East ( I really do need to get out more!). 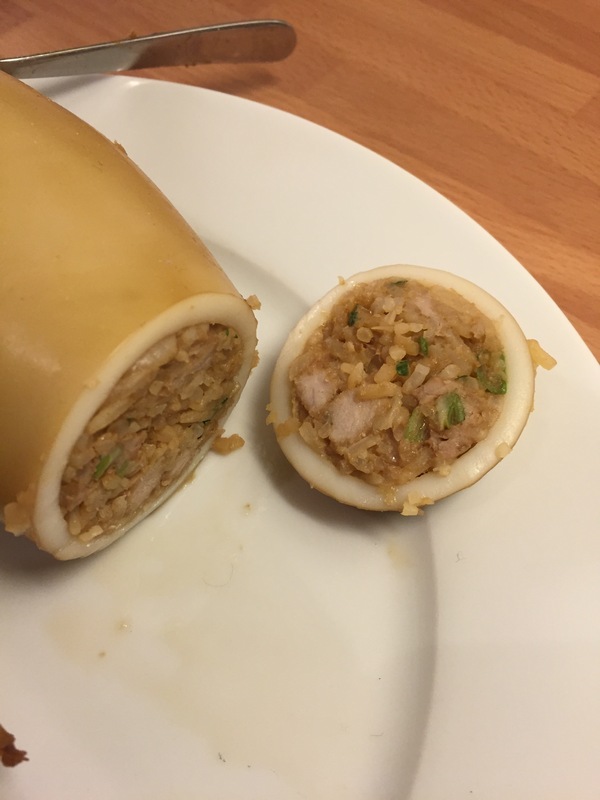 Anyway, moving swiftly on…… One of the recipes from Korea was a kind of stuffed squid sausage which looked great. So a trip to my local oriental supermarket later I got cooking. There are a number of recipes online for Ojingeo Sundae and I ended up kind of using what I had in the cupboards and fridge rather then following any one recipe in particular. 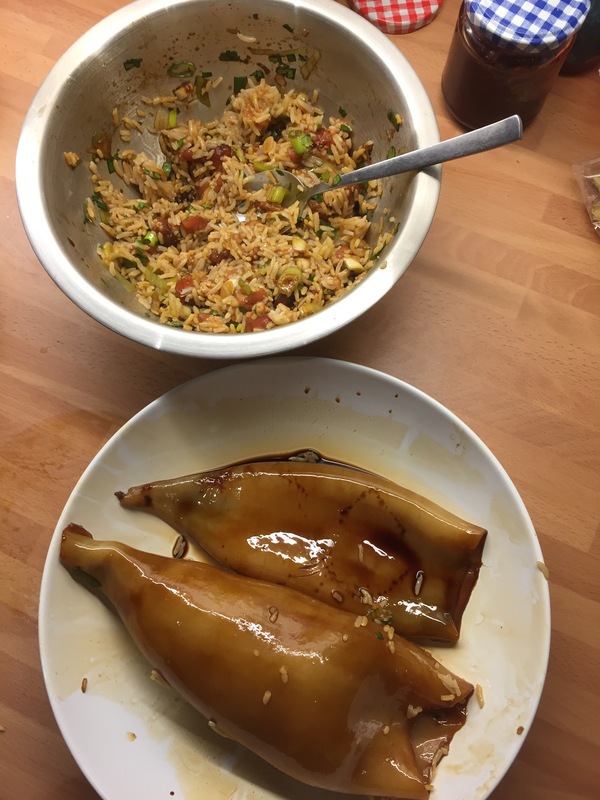 To start with i marinated the squid tubes in soy sauce and sesame oil for about half an hour. Then I stuffed the squid with the filing. This was rice, chopped pork belly, spring onions, coriander, garlic, ginger and chilli with a little soy sauce and rice wine. 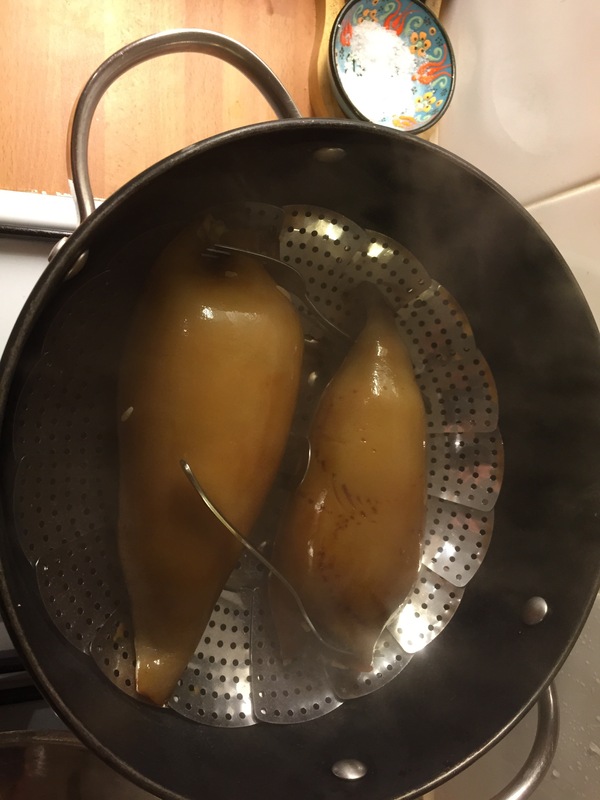 When the squid tubes were stuffed I steamed them for around 20 minutes and then left them to cool. When the squids were cool I sliced them into about 1cm pieces. You then simply dip the slices in beaten egg and gently fry until golden. 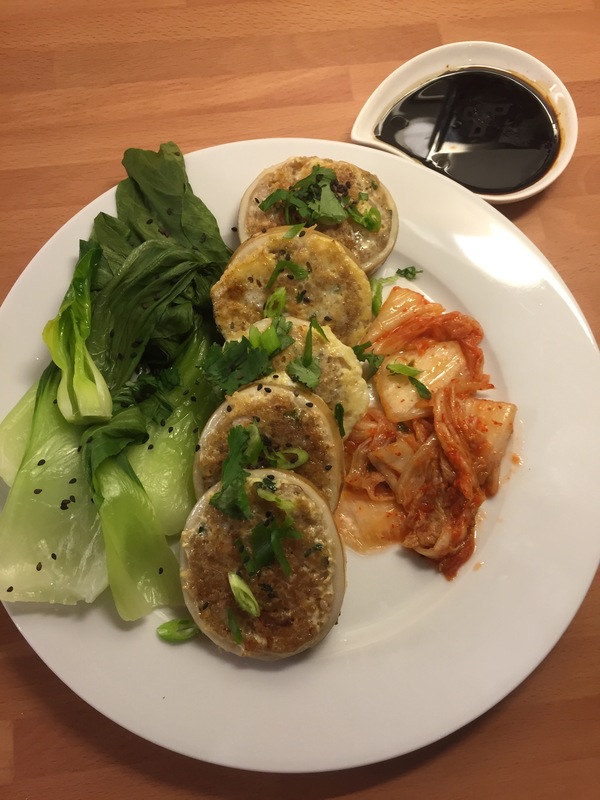 I served mine with some steamed pak choi and kimchee. This entry was posted on January 4, 2015 by paulb in Fish.